Its now Sunday night, however on Thursday i was lucky enough to get to go and see Graduate’s work from many different University’s, showcase their work. I actually went on the educational day, which i could of made better use of having there been so many University’s that specified in Fashion. However our coach didn’t turn up resulting in arriving very late and only just making it in time for the Fashion Show, which was amazing. Above is Anna Lee’s work from De Montfort University. She won the Zandra Rhodes catwalk textiles award,and was defiantly well deserved. The amount of time that went into all of her work is unbelievable! 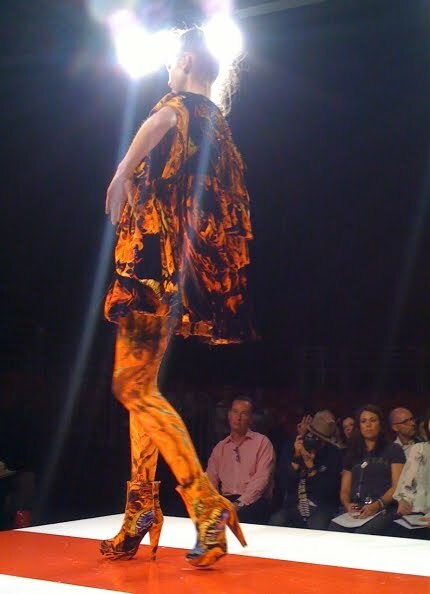 From head to literally the toe of the shoes the models were wearing, was covered in amazing prints. 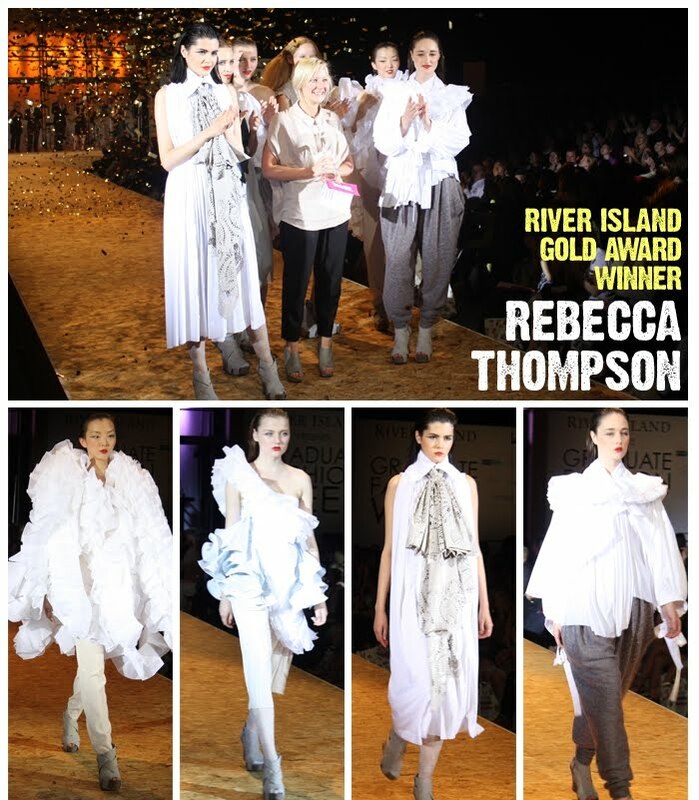 The winner was Rebecca Thomson from Manchester School of Art’s, winning a whooping amount of £20,000. I really glad this was the winner. I have always thought that to get far in Fashion you had to be ‘wacky’ and crazy. This catwalk piece inspired proves that i am wrong. 002 The day was a success, but it showed me how much work i am going to put in. After leaving we where given a magazine with some really helpful information bout succeeding in fashion. i realise I’m going to have to make my portfolio look outstanding. I’ve had some ideas (from the book) like, doing a showcase with the designs i have made and all the money recieved goes to charity. I’ll have to do this in my spare time since the course i’m doing at college is more business based at the moment (until next year). So on the buy list; a sewing machine :). 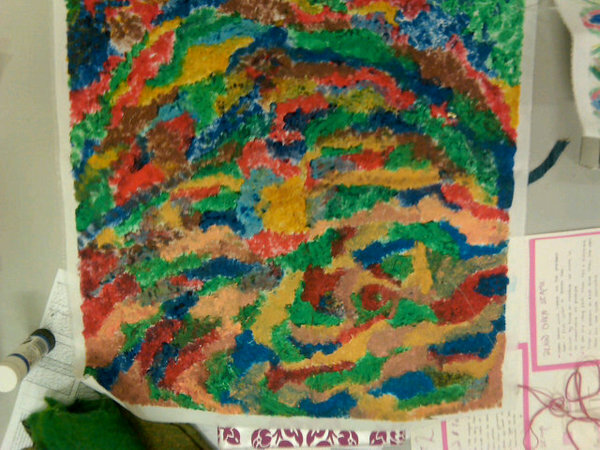 Speaking of college, my Art deadline is on Tuesday. I had to ensure i used, PVC Manipulation, Bondaweb, Felting and Fabric printing. Next Post Wear of the weekend.